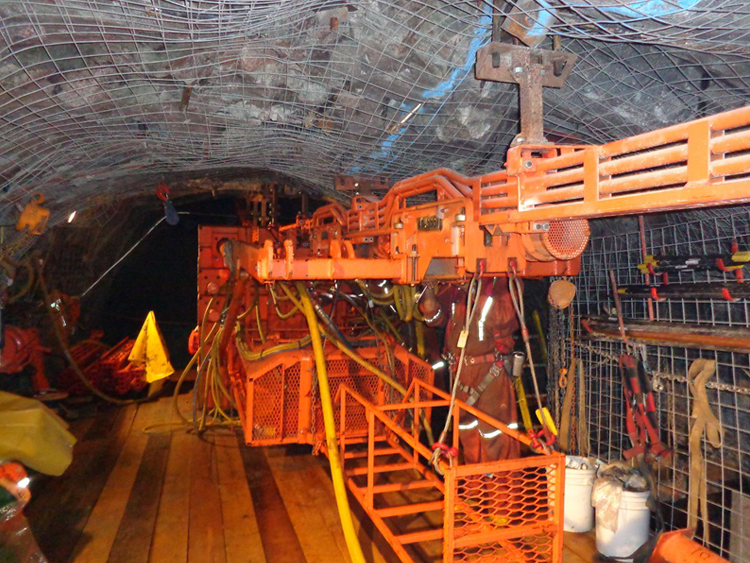 Cementation has earned the reputation as an Arctic mine contractor with successful operations at Diavik, Hope Bay, and Lupin Mine. This reputation for safe work combined with Arctic experience was an important part of the evaluation process in awarding the Snap Lake Mine development to Cementation. One key aspect of the project was the rapid mobilization of personnel and equipment to commence work utilizing the existing ice road. The scope of work included traditional mine development as well as support of ongoing production operations.